An introduction to the first few things you'll need to know. A LPV full approach with a turn in a hold, 100% hands off to minimums. There will be more! I would encourage you to subscribe to my channel when you're there to be notified. You may see a few John Deere or snowblowing videos, but most of them are about Cardinals! As many of you know, my aircraft, a 177RG, was used for the first installation, tuning and certification of the new S-TEC 3100 digital autopilot. The airplane has been in Mineral Well, Texas for several weeks. Debbie and I just brought it home last weekend. The team at Genesys Aerosystems were great to work with. Jack, Chad, Andy, Joe... everyone was respectful of the airplane, willing to listen and take time, very knowledgeable and willing to discuss the details in depth. It was daunting to watch our airplane flying on it's own in Flightaware. I kept up on their testing from afar and could often tell what tests they were were doing. Example flight to the right. My first flight was an out and back to get familiar with the new system, first alone then with Chad, the test pilot. Both were illuminating. First impression of the 3100: it immediately feels very different than my prior S-TEC 60-2. The autopilot seems to have much more authority and moves the yoke very quickly to a set location. It has a soft start and stop, so does not feel jerky or harsh. It works well in turbulence, which is new. Every autopilot I've flown with tends to toss you around in serious turbulence, but this one does a credible job of keeping up with even Texas Grade turbulence. Only yaw is left to the pilot and even that seems better. I can only imagine what this system does on airplanes with a yaw damper! I was surprised to conclude that the most useful new feature is the IAS (indicated airspeed) hold. Most of us with some form of vertical control are used to setting a climb rate and adjusting it to stay in the ballpark of best climb speed as altitude increases. While we may not be really busy doing much else, it can be a bother. With the 3100 you can set a speed to hold and it will hold it until it captures your target altitude. It makes long climbs to higher altitudes very easy and even does a nice job in turbulence. Chad, the test pilot, showed me the envelope protection. We selected an unattainable climb rate and watched the airspeed decay. When the airspeed reached a critical point we heard beeps and a voice announcing low speed, then the autopilot took action to avoid the problem. This happens even if the autopilot is not engaged. The level function was similar: Chad put us in an unusual attitude, reminiscent of a check ride long ago. When the LVL button was pressed the airplane smoothly and quickly righted itself into a 'roll' mode (basically a wing leveler) and encouraged us to engage the autopilot. Very smooth, quick and accurate. And very impressive. Approaches under autopilot control were familiar to me, what was not familiar was seeing our track exactly match the magenta line. I was used to drifting outside the line a little then catching up. The system will also fly complicated procedures: we let it fly the full ILS approach to Mineral Wells, which included flying to the outer marker, outbound on the localizer, a procedure turn to inbound, capture of localizer and glideslope then presenting the go-around solution on the flight director for manual execution. It flew the whole thing with no pilot input in moderate turbulence, never straying from the route. I just ran the throttle, which was not easy given the updrafts! On our flight home we enjoyed the IAS climb again, appreciated the rock solid roll control in smooth air cruise, and when the conditions degraded at home we did an ILS in actual the Chicago way, which is vectors to the approach 2 miles outside the outer marker and you're on your own don't bother us we're busy! I still have much to learn about the various approach solutions which could be needed, but I am very pleased to have made this change. My 60-2 seemed quite capable, but this is much nicer in so many ways. I expect those of you who took advantage of this opportunity to be very pleased and look forward to your reports. Update! 3/7/18 The STC work has started, with the first Cardinal now in Mineral Wells undergoing installation, tuning and test flights. Deliveries are expected in late May or early June. There is still time to catch the special CFO deal if you sign up below and get a PO to Jack before certification! See below for the substantial benefits! Update! 1/28/18 S-Tec has announced a new benefit for all CFO members who place a purchase order for the 3100 before the Cardinal PMA is approved. Any CFO Member who signs up for this program on this page and also has your shop send a 3100 PO to S-Tec before the Feds issue their PMA approval will have their warranty extended to 3 years on the autopilot controller and 2 years of warranty on your existing servos. Update! 12/18/17 The initial number of POs have been received by Genesis and the STC/PMA work is beginning as of today. We hope for a quick turnaround by the Feds! The autopilot market has become quite complicated recently, with several new players entering the marketplace. As we do with other products, your CFO leadership team has been working with many of the manufactures, seeking to keep the Cardinal in their sights as an aircraft worthy of the time and energy required for certification. At Oshkosh Airventure 2017 Genesys Aerosystems (known to most of us from their S-TEC roots) announced their new S-TEC 3100 digital autopilot, a high featured and fully capable IFR autopilot containing the most advanced extras, along with a high level of integration with your existing navigation and control instruments. When we asked where the Cardinal might be in their certification schedule they were very interested in how we might work together to help define the answer to that question. We talk about many kinds of autopilots in our CFO conversation. Many new autopilots are designed for limited use in VFR conditions. We certainly welcome that class of autopilots to the market and support them actively for those people who will benefit from such an autopilot. The Genesys Aerosystems 3100 is much different: it is a highly advanced autopilot for IFR operations with many operational and safety features and the deep integration which lesser systems lack. The kit supplied will include everything required for installation, including the electronics, cables, servos, controls, brackets and mounting hardware. The S-TEC 3100 must be purchased and installed through the Genesys Authorized Installation Center of your choosing. Once certified the 3100 can be installed in a Cardinal as a new system or as an upgrade for a Cessna or any other autopilot. The Cardinal must have the aileron bellcrank which accepts an autopilot connection. This was installed in any Cardinal which came with an autopilot and can be retrofitted in the field. This system is particularly interesting for those of us with existing S-TEC autopilots as there will be kits designed to allow the 3100 to upgrade your current installation, adding substantial functionality at an affordable price. Any S-Tec autopilot may be upgraded... the price for upgrade will vary depending in part upon what servos are already installed. Genesys Aerosystems has just announced pricing details for the 3100. The 2-axis S-TEC 3100 for a fresh installation is $19,995 retail which includes altitude hold, autotrim and altitude preselect, as well as new features such as envelope protection and straight and level mode. For those of us who currently have an S-TEC installed the upgrade price will depend on the equipment already installed (see below table.) This will be an outstanding bargain to get the benefits of a fully integrated digital autopilot, especially considering the additional safety features which it will bring. Our first step in this process will be to gauge interest. Once we've seen a substantial indication of interest (They are currently talking about 15 systems as a starting point) some increased commitment will be expected from Genesys. Upon that commitment (which we expect to include firm dates) we will need to make a matching commitment with individual purchase orders, naming a dealer each buyer expects to work through. With those commitments in hand Genesys will continue forward and we'll be on the path to having a certified digital autopilot for our Cardinals. If you are interested in this program please enter your name and other information in the below form and click 'submit'. Your name will be added to the visible list of people who are working towards being included in this program. S-Tec is adding a benefit for this program: everyone who purchases a 3100 though the CFO program will be provided a 1 year warranty on your servos from the date of installation by S-Tec. In addition: Many of us will want to have our existing servos IRAN'd to make sure they are in good shape to supply years of service with this new controller. For the first 15 PO holders, S-Tec will inspect your servos at a cost of just $100 per servo if no trouble is found. This is usually billed at $531. Further, if repairs are required during this inspection they will be covered by your new 1 year warranty... so, no charge for those repairs and no inspection fee. This is an outstanding opportunity to get a completely refreshed autopilot system if you are one of the first 15. And again the 1 year servo warranty will cover everyone who purchases through this program, a great benefit for everyone. 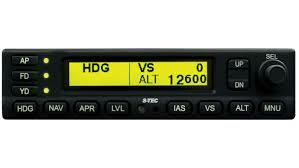 The S-TEC 3100 is a Digital Flight Control System (DFCS), developed for FAA Part 23 single- and twin-engine aircraft. It is based upon the existing Level A S-TEC 5000 autopilot certified for larger aircraft. Along with digital flight control, the 3100 will include envelope protection and one-button straight and level recovery. The S-TEC 3100 was designed with open architecture to easily integrate with both legacy analog avionics such as HSIs and DGs and today�s advanced digital systems such as complete EFIS displays. In addition, it was designed to require minimal additional equipment to keep the incremental cost as low as possible. Please note: This is a very important concept for CFO, as we believe in designs which allow flexibility of equipment selection. We don't all have the funds to build a perfect panel, so that's why companies such as Genesys, Aspen and Avidyne get our support over Garmin, who generally designs to exclude interoperability. At CFO we consider the Genesys Aerosystems S-TEC 3100 to be the ideal digital autopilot for IFR aircraft and pilots and encourage everyone with an interest to take this opportunity to help make the Cardinal one of the early certifications for this system. Please enter your name and other information in the below form and click 'submit'. Your name will be added to the visible list of people who are working towards being included in this program. Update! The program has reached a sufficient level of interest and has been launched. We are currently now all generating purchase orders with our avionics shops and following the other steps on the instruction page. If you have signed up please navigate to that page to see the required steps and follow them. Once a substantial number of POs are received S-Tec will submit the STC paperwork. We still appreciate new folks are are just coming along now, as greater numbers will still help the program. Update! 12/18/17 The initial number of POs have been received by Genesis and the STC work is beginning as of today. We have hopes of a quick turnaround by the Feds! Update! 1/28/18 S-Tec has announced a new benefit for CFO members who place a purchase order before the PMA is approved. If you have signed up for this program and have your shop send a PO to S-Tec before the Feds issue their PMA approval your warranty will be extended to 3 years on the autopilot controller and you will also receive 2 years of warranty on your existing servos. Note that the instructions page is inside the member's area so as to protect email addresses and other information from access by those who are not known by the system. You must be logged in to register for this offer.. Click Here to log in.